UK immigration law can be complicated, and changes frequently. To ensure your immigration plans succeed, it helps to have experts who can explain how the system works and guide you to the right solutions. As experienced immigration lawyers, we provide practical tailored services and can also support you in areas such as employment, property and tax. The UK’s immigration laws can seem complicated. With the government making regular and often sweeping changes to immigration law, it is a challenge to keep up with exactly what you need if you want to live and work in the UK. When you’re faced with immigration issues, you need the support of a legal team that finds practical solutions, responds quickly and communicates clearly. 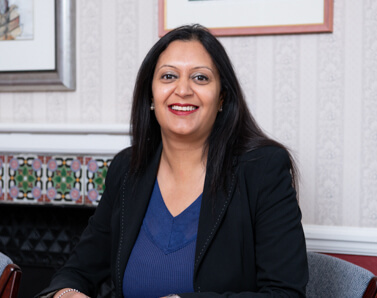 As experienced immigration lawyers, we provide up to date, practical advice based on the latest UK immigration regulations, to help you live, work and invest in the UK. Our focus is always on understanding your situation and securing the outcome you need. As a multi-discipline firm, we can also help you in related areas such as employment, property and tax. We have extensive experience in advising clients from all backgrounds and we resolve any cross-cultural issues sensitively and effectively. We speak French, Italian, Punjabi, Urdu and Hindi, and we’ll be happy to discuss your needs and provide straightforward, helpful answers. Is there a post-brexit solution for farm workers? Start-up visas for tech companies – what’s all the hype about? Farm labour shortage addressed – but is it enough? Windrush day – what really happens at Home Office appointments? New start-up and innovator visas encourage entrepreneurs to the UK.